NEXT Dance. Good Friday 3rd Apr 1.30 for 2pm It's BOB MORGAN calling with band: PORTLAND DRIVE. Their very 1st gig. 3 HRS OF LIVELY ﻿﻿﻿﻿﻿﻿﻿﻿﻿﻿﻿D﻿﻿﻿﻿﻿﻿﻿﻿﻿﻿﻿ANCING. 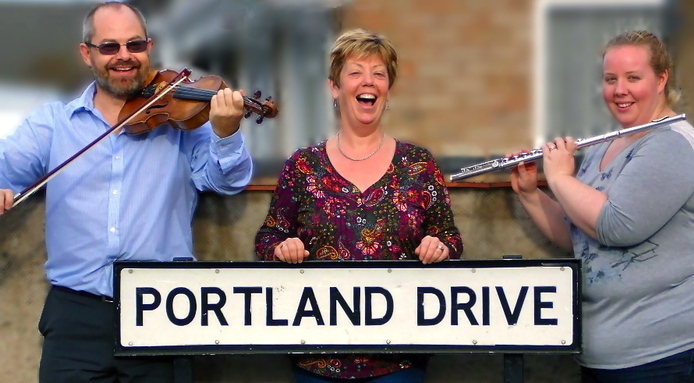 BUT FIRST- WE DANCE on Apr 3 in BOURNVILLE to BOB & "PORTLAND DRIVE". - DANCING 2pm. BOB MORGAN & ﻿PORTLAND DRIVE﻿ play for their very 1st dance! YOU MISSED THE "NORTHERN LIGHTS" - ENJOY THEM on GOOD FRIDAY AFTERNOON ! Elaine & Kathryn - very well known to contra dancers via brilliant gigs with Skylark. Mix here - partner other dancers - then they are NOT hard to pick-up. First BRUMMIE CONTRA of 2015. . . . . . . . . pic by Mandy. Copyright. AN﻿OTHER ﻿AVAILABLE IN THE INTERVAL. ARRIVE ACCOMPANIED OR NOT – YOU'RE WELCOMED ﻿! . . 25th January 2015 with Vertical Expression . . pic by Mandy. Copyright.
" But I've never really﻿ done th﻿is stuff before" page. Enjoy ALL remaining (9) 2015 dances at £5.66 each (per Adult) !! Bu﻿y 20﻿15 Season ticket - now £51 - AT or up to the 3rd Apr Dance. "SEASON TICKET" still optionally available "at the door" - on 3rd Apr. 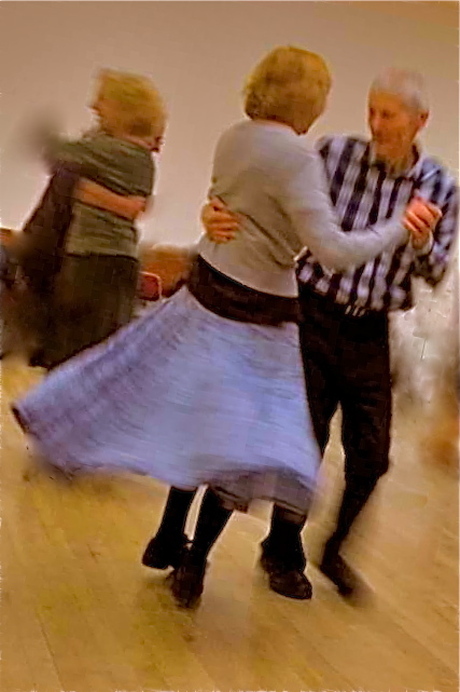 Anyone asks anyone else to﻿ dance﻿ – Go for it ! 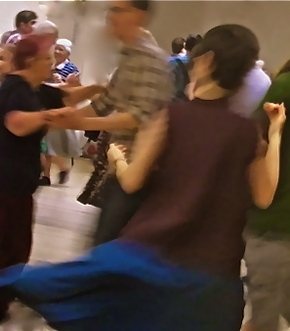 May Contra-dancing's versatility long continue. fresh musical & dance dynamism from wonderful bands & callers - some yet to become recognised.